Congratulations! You’ve just made one of the best decisions of your life. Moving to Cabo, or buying a second home here, is one of the best things you could do. People have been living in Cabo for at least 10,000 years so there’s definitely something special about this piece of the world! Now that you’ve decided to enjoy your own special piece of it, you may be wondering what there is to do. 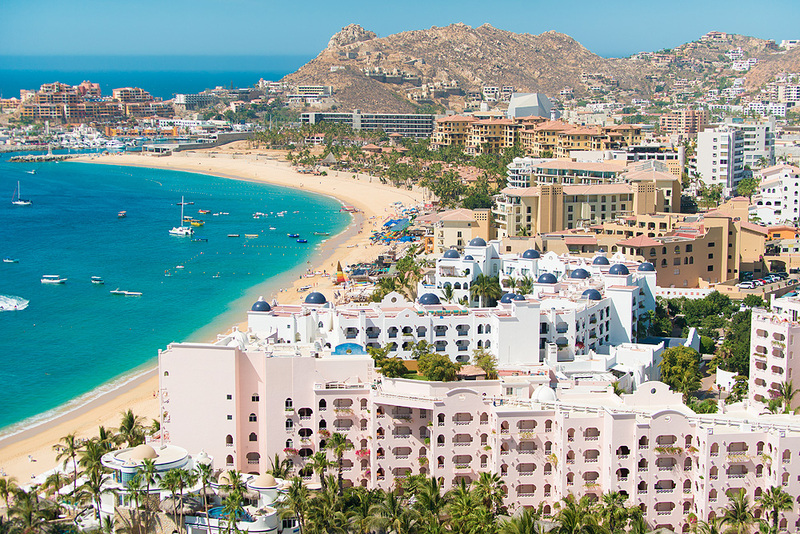 Don’t worry, there are plenty of things to do in Cabo and we’ll go over just 8 of them here. If you’re going to live in a beach town, you’ve got to go visit the beach! Playa del Amor, or Lover’s Beach, is one of the most famous locations. Relax on the soft sand and soak up the rays of the Mexican sun. When it’s time for a dip in the warm ocean, pay attention to where you get in the water. Lover’s Beach shares a piece of land with Divorce Beach. The Lover’s side enjoys the calmer waters of the Bahia San Lucas, whereas the Divorce side sports the turbulent waters of the Pacific. The risk of drowning is high on this side and you should avoid it. Aptly named beaches, wouldn’t you agree? Also, go early in the morning. Because of its fame, it gets crowded, not to mention hot, later in the day. Have you ever gotten up close and personal with a humpback whale? Humpback whales can grow to be up to 18 meters (60 feet) long. Do you realize how big that is? You won’t really until you take the time to see these beasts in person. Whale-watching season runs from about December to April when the whales tend to hang out in Cabo’s waters for breeding. Be sure to talk to the locals to find out when the season is at its peak. Since you’re there long-term you can pick the best time to go in order to be sure to catch a glimpse of these magnificent creatures. The boats are small and the beasts are big, so be prepared to get wet on this magical boat ride. For something a bit more relaxing, you can take a sunset sailing cruise instead. Enjoy a delicious spread of canapes with a glass of sparkling wine or a delicious tropical cocktail. Not that fancy? You can get an ice-cold beer as well. This is a great date night idea. You and your partner can relax, watch the sunset, and tour the epic Land’s End rock formations. You’ll also get to see the Los Cabos Arch and have a peek at Lover’s Beach from a different perspective. For a different twist, you can take another kind of boat ride altogether. Do you want to check out some marine life without getting wet? A glass-bottom boat is a great way to do it. Not only is it an inexpensive way to tour the landmarks, but also you get to see lots of colorful fish while you’re at it! Kids (of all ages) will love staring out the bottom of the boat and trying to spot as many different fish as they can. Of course, if you do want to get wet, you’ll get to see a whole lot more of that marine life. Head on over to Cabo Pulmo for an up close and personal visit to the undersea world. You can choose to go snorkeling or scuba diving, or do both! You’re not time-restricted like a tourist. You can spend time snorkeling and enjoying marine life anytime you want. Have you always wanted to get your scuba diving certification? There’s no better place to do it! Ready to get out of the sun for a little while? Why not take a stroll around the Iglesia de San Lucas? This stunning church and its surrounding plaza were built in 1730 and it is a great spot to view historical architecture. If you go at the right time you’ll get the chance to observe some local traditions. You can even visit a bilingual mass on the weekends. 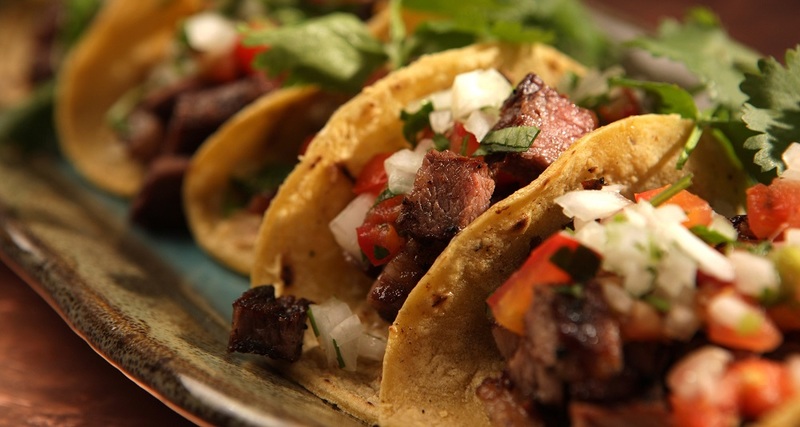 If you decided to move to Mexico, you’ve probably already sampled much of the delicious fare that is to be had. But, just in case you need a reminder, eat tacos! This can be a fun date night coupled with a leisurely stroll along the beach afterward. Or take the whole family out to enjoy tacos and guacamole to their heart’s content. Then you can take a walk around the marina to watch the seals play. You’ll never know what you were missing out on until you taste a true Mexican taco with fresh guacamole. Everything you do in Cabo doesn’t have to be touristy or exciting. Sometimes it is nice to just take a relaxing stroll around town. There are a lot of colorful sights to see and it can be fun to go exploring for forgotten treasures in the mall. The great thing about living (or vacationing long-term) in a place is that you get to experience it in more than one season. Slow down, take a deep breath, and enjoy the local sights and flavors. You’ll be glad you did! Believe us when we say this is only a small sampling of the many things to do in Cabo. This playground in paradise is full of tours, sights to see, and great ways to while away an afternoon. You will never be bored once you make the move to this fantastic location. If you need more information about buying the perfect home in Cabo, don’t hesitate to contact us! We’ll help you find the perfect piece of real estate to call your own. Previous Article When is the Best Time to Visit Cabo San Lucas?